Conseiller national depuis décembre 2011, réélu en 2015, Fathi Derder (45 ans) est membre de la Commission de la science, de l’éducation et de la culture. Il y défend une politique d’innovation active, et des conditions-cadres encourageant la recherche et le transfert technologique. Fathi Derder préside en outre l’association Le Réseau, un groupe de start-up, d’entreprises et de Hautes Ecoles suisses engagées pour l’entrepreneuriat et l’innovation. Journaliste, il fut notamment rédacteur en chef adjoint à la Radio suisse romande, puis rédacteur en chef de La Télé, avant de devenir journaliste indépendant. Il collabore notamment avec le journal Le Temps. En 2015, il publie « Le prochain Google sera suisse (à dix conditions) », aux éditions Slatkine. Conseiller en gestion financière depuis 20 ans, entrepreneur ayant fondé plusieurs sociétés dans différents domaines et actif dans la réorganisation de sociétés. Sensible à l’importance de l’innovation au sein du tissu économique suisse, je suis heureux de m’engager auprès du Réseau afin de participer activement au développement des conditions-cadre en faveur de l’innovation. Karim dispose d’une solide expertise dans le droit des sociétés, les opération de fusions et acquisitions, les financements de sociétés (LBO/MBO, capital amorçage, capital-risque, capital-développement, mezzanine et retournement), ainsi que la négociation, la rédaction et la revue de contrats commerciaux. Il dispose également d’une expertise significative dans le domaine de la propriété intellectuelle, avec un accent particulier sur la négociation, la rédaction et la revue de contrats portant sur des biens immatériels (contrat de transfert de technologie, contrat d’option, contrat de licence, contrat de distribution, contrat de franchise, etc.) et les opérations de fusions & acquisitions relatives à des sociétés détenant des droits de propriété intellectuelle. Edouard Bugnion joined EPFL in 2012, where his focus is on datacenter systems. His areas of interest include operating systems, datacenter infrastructure (systems and networking), and computer architecture. Before joining EPFL, Edouard spent 18 years in the US, where he studied at Stanford and co-founded two startups: VMware and Nuova Systems (acquired by Cisco). At VMware from 1998 until 2005, he played many roles including CTO. At Nuova/Cisco from 2005 until 2011, he helped build the core engineering team and became the VP/CTO of Ciscos Server, Access, and Virtualization Technology Group, a group that brought to market Ciscos Unified Computing System (UCS) platform for virtualized datacenters. Sacha was born in Neuchâtel, Switzerland and graduated in 1999 from EPFL. It was during Sacha’s studies in 1996 that he started his first consulting business – Cogito Informatique. 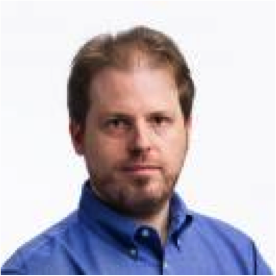 In 2001, he joined Marc Fleury’s JBoss project as a core contributor and implemented JBoss’ original clustering features. In 2003, Sacha founded the European headquarters for JBoss and, as GM for Europe, led the strategy and partnerships that helped fuel the company’s growth in that region. While in this position, he led the recruitment of some of JBoss’ key talent and acquisition of key technology. In 2005, he was appointed CTO of JBoss, Inc. and as such, oversaw all of the JBoss engineering activities. In June 2006, JBoss, Inc. was acquired by Red Hat (NYSE:RHT). After the acquisition, Sacha remained JBoss CTO and played a crucial role in integrating and productizing JBoss software with Red Hat offerings. In 2007, Sacha became co-General Manager of Red Hat’s middleware division. He ultimately left Red Hat in April 2009. Following a period of research, Sacha became convinced that public cloud infrastructure would lead a fundamental IT paradigm shift and that middleware would play a key role in that shift. As a result CloudBees, Inc. was formed in April 2010. Dominique Mégret is head of Swisscom Ventures, which he started in 2007. 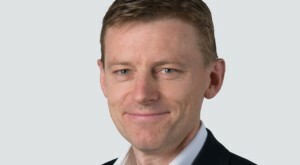 He joined Swisscom in 2002 as head of the Group Strategy unit. 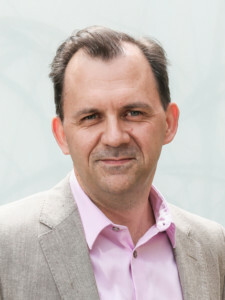 Previously, Dominique Mégret was an entrepreneur in the United Kingdom, a strategy consultant in the European telecom industry and country manager for an IT company in Germany. He currently serves on the boards of Mona Lisa Capital AG and Bloom SA. Furthermore he is an observer on the boards of Sophia Genetics, Adello, AVA Women, Brandnew and Geosatis. Previous investments include: Quantenna (QTNA), Sequans (SQNS), Beqom (exit to Goldman Sachs) and Liberovision (sold to VizRT). Dominique Mégret holds a BA from EPBS and MBA from INSEAD. Partner at EY. Special areas of focus include supporting entrepreneurs and family businesses with their growth as well as multinational corporations accessing the capital markets.